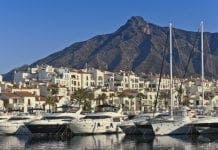 THE sale of Puerto Banus to investors is being delayed by Spain’s political impasse. The port’s current concession holder, Puerto Banus SA, and the investment group making the purchase – who have been negotiating for over a year – are waiting for the government to produce a report to confirm when exactly the current concession to manage the port runs out. The original concession was given to entrepreneur Jose Banus in 1968 for a period of 99 years, but the last Socialist government established 35 years as the maximum length of administrative concessions affecting public port domain, meaning that that would be up in 2018. However in 2014 the PP put the maximum period up to 50 years, meaning the original concession could not be up until 2043, massively altering the value and viability of the sale. The ports authority, the APPA, have said the interpretation of state law is the responsibility of the central administration, however with no government in place, decisions about the port are being put on the back burner. 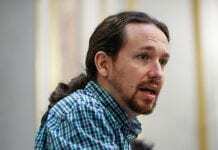 Typical of the Spanish…change the rules with each new Government. How can they expect companies to invest in Spain. I agree. The original agreement should be honoured. Who would want to invest knowing at any time the rules could be changed. This is pretty much how the planning, tax and legal systems are run in Spain. My own gestor says that by the time one law is implemented, it’s undone or replaced with a new law the very next month. Madness.